Sokoa’s export managers returned very satisfied from the five days spent in the Chinese economic capital during the 19th International exhibition Furniture China Expo. 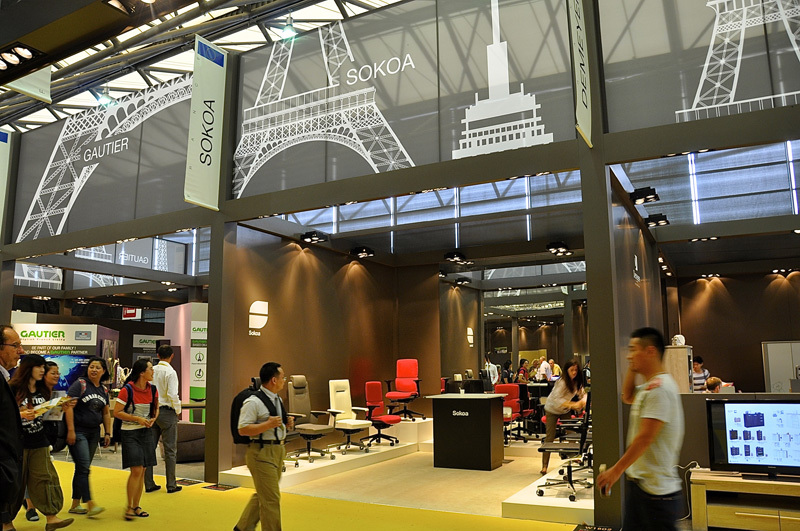 SOKOA outlined its three ranges of key seats, K01, Wi-MAX and M4 on a 25m² "ideally placed" stand in the French pavilion. In terms of products, the "Made in France" manufacturing has been particularly appreciated by visitors with a special mention to our executive chairs M4 highly acclaimed for its line and its high level of technology. Some Key figures : Furniture China Expo receives 70,000 visitors from 140 countries of which 60% from China, the rest coming mainly from South Korea, Japan, Singapore, Taiwan, India and the Gulf countries.